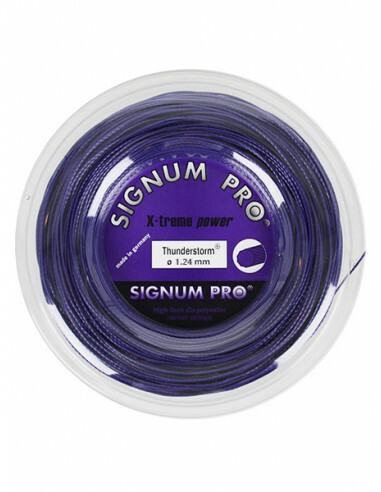 The Signum Pro Thunderstorm is twisted around the axis. 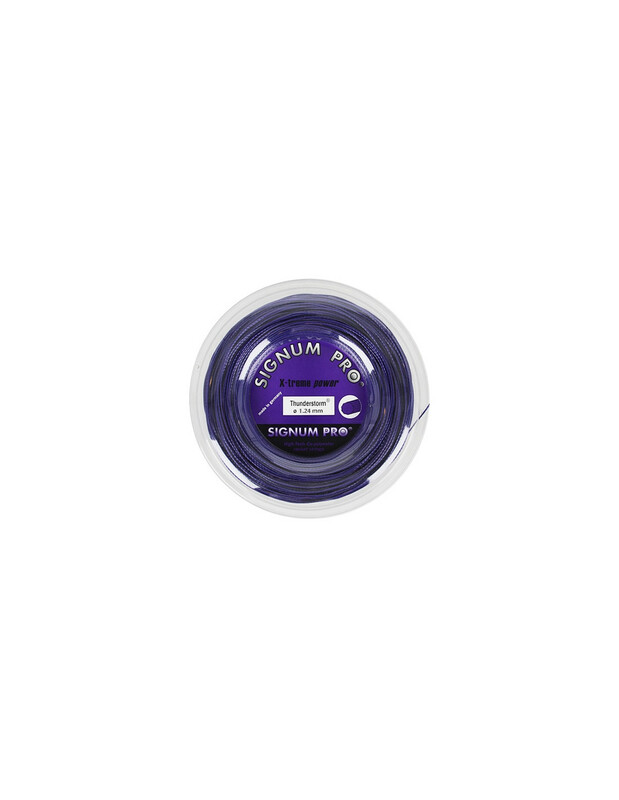 It is a decagonal string that offers good control and generate exceptional effects. It is also very durable and tension loss is minimal, so it offers a comfortable, control oriented feel.